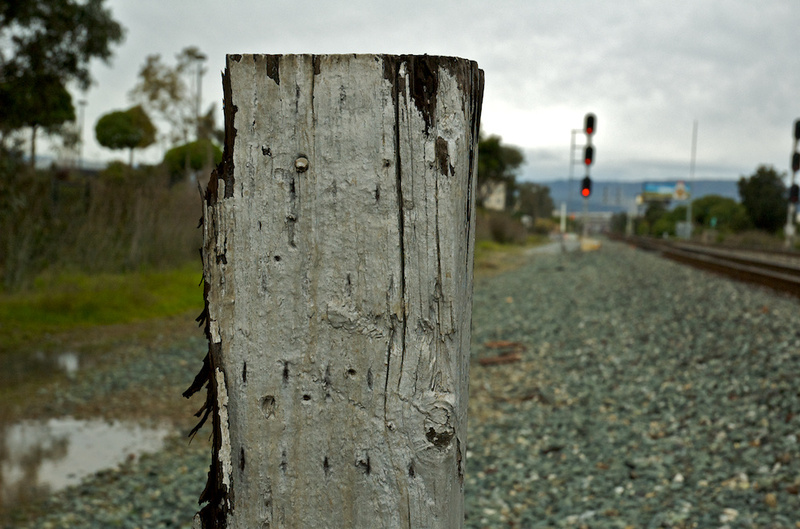 Looking south, from CP Sierra towards South San Francisco station, at an old railroad tie painted silver and turned into a post. What is the purpose of having a post here? Unclear. Shot with the Nikon D70s and the 18-70mm f/3.5-4.5 zoom at 40mm, ISO 400, f/8, shutter 1/320 sec. Exposure, contrast, saturation, levels, highlights, and shadows adjustments in Aperture.